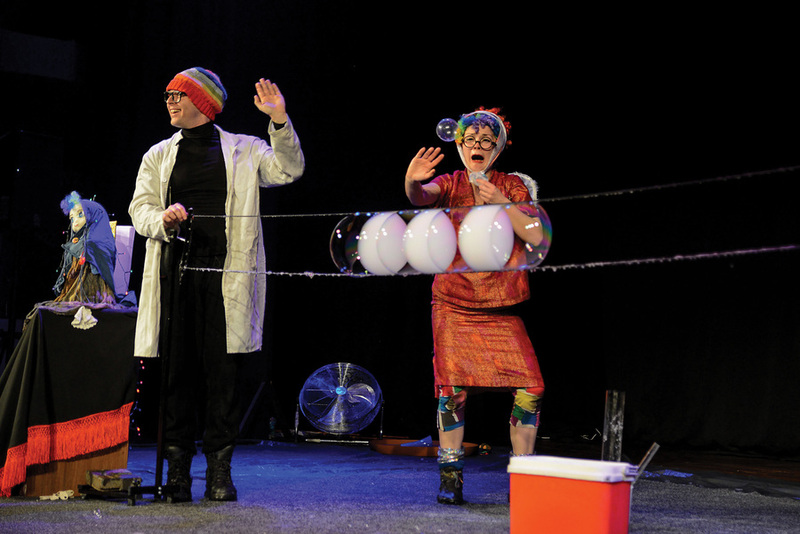 There will always be a show filled with bubbles at the Adelaide Fringe, and for good reason. It’s silly fun, allowing older children to engage with the science and younger children to engage with the magic, and it allows the Fringe spirit to carry on at home with that elusive mix of sticky but clean fun. (@bubbleandplay). The Jade, various dates 15 Feb-16 Mar, 11am. To children, everything in the world is a new question to be studied, and nowhere can that be more obvious than at the Fringe. Did You Hear What I Saw? is a comedy show from two Melbourne comedians called Tom: one who lost his sight, and one who lost his hearing. This fully inclusive performance will be an important and playful show for children with a disability to see themselves reflected on stage – and for children without a disability to find out about part of the world they may not have been introduced to yet. National Wine Centre – Ferguson Room, 16-17 Feb, 24 Feb, 3:20pm. Vaselina is a receptionist with a quiet life which is knocked sideways when she meets the mysterious Baba Yaga. A funny, inventive and colourfully surreal new version of an old Slavic tale, Baba Yaga is a layered look at breaking the rules. Queens Theatre, 27 Feb-6 Mar, various times. The Dummies will be familiar faces to regular Fringe-goers, taking festivals around the world on with their high-energy Crash Test Dummies. Here, the wheelie bins get swapped out for flippers: it’s the Dummies you love, with added water. What could be more perfect for those days where the temperature is creeping towards 40 than an air-conditioned tent, and the fear you will get splashed! 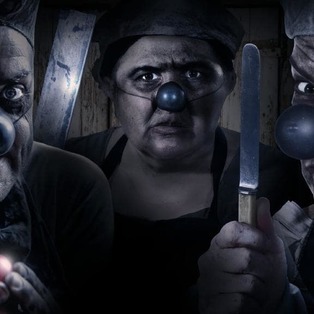 The Garden of Unearthly Delights – The Factory and Corona Theatre, 15 Feb–17 Mar, various times. What kid doesn’t want to be a rockstar? Tessa Waters invites children to come dressed up for this all dancing, all-signing, all-air-guitar playing lesson in how exactly to rock out. Waters mixes physical comedy with messages of personal strength and empowerment: exactly what your little ones need to become a star. Stirling Fringe, 23-24 Feb, 27 Feb, various times. Home-grown magician Mickster the Trickster combines old-school magic with new-school technology: this isn’t your grandmother’s magic show. If your kids are too hyped-up to sit still during a Fringe show then this is the place for them, as Mickster brings the children along on his adventure of magic to figure out where exactly his missing cheeseburger went. Gluttony – Parasol Lounge, various dates 16 Feb-17 Mar, 1pm. It’s a truism that it becomes harder to hit the clubs when you have a baby: but what if you could bring baby in tow? A firm favourite of the Fringe, Monski Mouse’s baby disco has been getting the under-5s up and dancing on their feet – or at least grooving in their nappies – for years. Take a peek, though, and it’s hard to tell who’s having more fun: the adults or the kids? 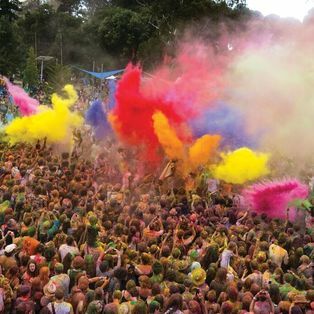 The Garden of Unearthly Delights – The Box, 16 Feb-17 Mar (Sat and Sun only), 11am. When you hear Fringe you think… moose? Captain Cauliflower (as we all know, every child’s favourite food) and his sidekick Marvin the Mischievous Moose might just be the oddest duo taking to the stage this festival season but then again, it is the Fringe, so we very much could be proven wrong! Fresh-off a sell-out season in Edinburgh, this is the first year these British clowns are bringing their work to Australia: but is Australia ready for an onion-themed supervillain? (@madetiquette). 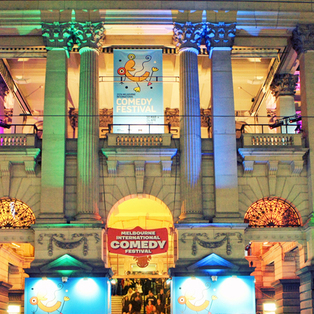 The Garden of Unearthly Delights – Corona Theatre, various dates 2-17 Mar, 1:15pm.